Our company, HomeActions, LLC, signed up for ChurnZero on January 20, 2017. I cannot say enough about how impressed we are with this company and how many benefits we now enjoy using their integrated platform. As a Customer Success Manager handling over 5,000 customers, our firm needed a better solution for managing client churn and ChurnZero is the solution! Our CRM is NetSuite and we developed a proprietary email marketing solution used by many industries including: real estate, law, health & wellness, and CPA's. ChurnZero was easily able to integrate their system into both of ours and the data we are now able to capture is amazing. Before ChurnZero, we were not able to identify what features of our service clients were using and what they were not. We were not easily able to recognize which segment of customers were at risk of churn and had more of a knee-jerk solution dealing with trying to save clients after they informed us of their intent to cancel their subscription. Not anymore! Now, with ChurnZero fully integrated and operational, we target those groups of customers, based on criteria we selected, that are at the highest risk of cancelling and move to turn them around BEFORE they cancel. Additionally, we have "eyes" into what our customers are doing, what features they use and what they are not. We can drill into a single client or an entire database. The extent of what you are able to see is endless. This is a hard one, as not too many things we dislike and any issues raised are now on their IT tech development plans. But here you go. If you are serious about reducing churn or learning what you customers are really doing , invest in ChurnZero. 6) Easily created drip campaigns to educate clients on product features, upgrades, etc. 8) Built in NPS surveys allow us unbiased feedback. "Best investment ever made !!!" ChurnZero quickly and seamlessly integrated with our CRM NetSuite and our cloud-based user platform. It allows us to monitor and automatically react to data and real-time events our clients' perform on a daily basis. Dividing our customer base into manageable segments, we now have the ability to easily track the progress each client, or category of clients, makes throughout their customer journey. Based on their progress, we can now keep them informed or offer suggestions based on where they are positioned. Knowing what a customer does or does not do once they purchased a subscription has been the missing element for our company and ChurnZero was the solution. ChurnZero also allows Net Promoter Score surveys to easily be created and sent based on a schedule you prefer. Obtaining unbiased ratings of our service and valuable customer comments has proved most beneficial and resulted in many realignments within our company. Instant alerts can be set on key triggers, email "plays" automatically go out to targeted segments of customers, and the real-time analytics are very impressive. There have never been many dislikes and the few we have had were already taken care of by their development team which is highly responsive to implementing improvements or enhancements. Customer churn was the # 1 reason for implementing ChurnZero. We have seen a significant improvement in client loyalty and reduction of customer churn since adopting ChurnZero. Our annual investment has been recovered at least 20X to date. "Great, lightweight tool that doesn't require SQL knowledge"
At my previous organization, I managed CS Ops and was responsible for administration of Gainsight. Gainsight is an incredibly powerful tool, but incredibly difficult to operate without extensive salesforce and SQL knowledge. I moved over to my current organization and jumped into using ChurnZero as we were in the middle of implementing the product. My eyes honestly lit up at how EASY it is to use. It's easy for me to create plays and journeys and create rules around who enters those plays and journeys. It doesn't require fetching, joining, manipulating data from different data tables. I'm a CSM here. I'm responsible for maintaining a book of business, but I also deal with some operational aspects for our team. This allows me to easily do both. Anything I want to build in ChurnZero doesn't take me that long (whereas before, I'd spend an hour figuring out how to accomplish what I was trying to do in Gainsight and another couple of hours actually building it, if I could even get that far). The service is fantastic; our CSM (Chase) is great to work with. Not only does he help me with building things in ChurnZero, he chats through strategy and theoretical things with me. I get incredibly proactive support from him and truly believe ChurnZero has built a great product and they practice what they preach. It is lightweight, so it misses the mark on some reporting for me. The dashboards are great. Playbook reporting is lacking tremendously, but I appreciate that my CSM is always willing to hop on the phone with me and talk through some of these things. I also wish the documentation was a little more robust, but I'm hearing that they're building out more self service training/help guides, which will be fantastic. Sometimes I need to just quickly find the answer myself instead of relying on an answer from a support member (although Peter is fantastic and I email him way too often!). In an organization with an incredibly large total addressable market, we run a lean team with over a thousand customers. ChurnZero is really helping us get a gauge on where those customers fit into our ideal persona and also helps us scale ways to guide them through the overall customer journey. Thanks for the kind review. As promised in an earlier comment, please ask your CSM about "Live Exports", our new feature that automatically syncs your ChurnZero data into your Microsoft Office 365 or GSuite. This gives you total control of your reporting within the applications that you most likely use for your reporting. Thanks for being a partner. First of all, I love the CZ team! Their product team is so incredibly engaged and beyond dedicated to getting you set up for success. They always make themselves available to hop on as many calls as you need (and we're needy!). We started pretty early with CZ and many of our pieces of feedback we're implemented relatively quickly into the product which was fantastic. They continue to do a great job of listening to their customers and illustrate this through the product and the consistent guidance they give to use the tool effectively. Beyond the team, the product has served to pair SFDC and app usage data in a way that was CRITICAL for us to engage our customers appropriately to what plan they're on, where they are in their journey, and what they're actually doing in the product. Further - the ability to push in-app messages and content according to specific segments of our customer base coupled with the strong bidirectional sync with SFDC was a huge game changer for us, and ultimately solidified our decision to go with CZ in the first place - and they've definitely delivered. We're just starting to run more deliberate plays according to health score, but the ability to get so granular in creating a health score is pretty awesome. Like others, the only downfall has been on our end. Ensuring that we were tracking our app events correctly internally took a bit of time which delayed our ability to use CZ in full effect. The only other thing - and it's VERY small! - is I wish they put the merge fields in the test email when doing email plays. Do the work on the front end to ensure you're set up internally to track usage events so you can get the most of CZ ASAP. Also - to get used to the product log in and play around consistently (practice what you learned in your set up calls) - if not every day, every other day during the beginning stages. Our core goal is customer retention. To achieve this goal, we have other driving objectives in place that revolve around giving each customer segment the appropriate experience, and doing so proactively to shorten the time-to-value (which we're able to do in CZ by customizing our engagement with them, as well as our internal process). ABV - "always bring value" is our team motto! ChurnZero has already helped us lower our "at-risk" customer count by allowing us to recognize key indicators /trends before they reach this stage and intervene appropriately. "Changes the way we do business with our customers"
The tool is very easy to use, fast, and sleek. It does everything I need it to and is an important part of the Customer Success Dept now at Tracx, I dont know what I did before we had it! I have also had the best service from the team at ChurnZero, they have held our hands through this whole process of getting set up and trained, it really makes a difference when you are trying to learn a new piece of technology. There initial set up takes some work since there is much to think about on what to set up and how that will look and act in the system. But it is worth the effort, since the end result I got exactly what I needed. And of course Abby was there the whole time to walk us through the process and makes things as simple as possible for us. Gives us insight into how our customers are using our product that we never had before. Helps my Account Managers prep for meetings, look for additional sales opportunities, and most importantly see potential usage issues before they become a bigger problem. It has completely changed how we communicate with our customers and run our business. "ChurnZero is a Life Saver! " "Crucial tool for my success!" Churn Zero allows me to manage my entire client book, not just keep tabs on the most "vocal" clients. It is so helpful to be able to filter for different activities, and segments of clients. The customizeable Churn Scores and segments allows me to define what I feel makes a "good" or a "bad" clients, so I can really control my views. I love the real-time alerts (that I can set and customize). This really allows me to stay on top of important issues. The Playbooks save me so much time, I can easily identify and mass email my clients when needed. The in-app alerts are nifty too, as a different way to reach my clients! Sometimes I forget to log in when I start my day, but I still get the most important alerts emailed to me via CZ. So, even if I forget to log into the app, I am still in the know. It would be great if CZ Activities could also push into my Salesforce Activity log. This tool gives you new views to your client book, as well as new ways to engage clients. The piece we have enjoyed the most is the assistance we have received through our onboarding process. Our CSM has been great, giving us a full understanding of the solution's capabilities, best practices across the industry and many other tips for a successful deployment. The simplicity of integrating ChurnZero to other tools used in our business has been wonderful. Finally, the ability to segment our base in many different ways is very helpful along with the fact that we can build our own workflows, task creation and responses to live events has made our CSM team much more efficient and effective. Nothing major, just some nuisances. I love being able to see my customers' usage in real-time - I'm able to create "plays" that send targeted emails to users based on inactivity (or activity). A great tool for a small customer success team to leverage given the scalability. Nothing, everything has been great - their VP of Product, Abby, is a saint. She answers all questions quickly and provides best practices that help guide our small team's growth. With a very small team serving our customers, we are stretched thin. Often, we aren't able to touchbase with some accounts for weeks. ChurnZero has changed this. We can now proactively email users that aren't using our platform much, track usage, and send alerts when critical accounts have dropping engagement. ChurnZero allows me to swoop in before renewal to ensure my accounts drum up usage. "Very easy to use CRM"
To be able to evaluate clients by in- or decrease of usage and log-ins, and also the automated tasks or actions depending on a multitude of triggers. Of course it is very convenient to start plays and journeys at different stages, i.e. onboarding of new clients, first sale for clients, cancel requests and so on. Basically nothing, the only negative point is more of a cosmetic nature: the sidebar does not hide completely, showing some characters instead only the pictograms, which always looks crooked. But in general the graphics are very good, especially the dashboard, which is easy to handle. It's not cheap, but it's worth every penny. Thanks to ChurnZero we have effectively reduced the response time for clients and we're able to track and solve oncoming problems much faster than before. Also the 'daily grind' is made much easier with automated tasks and actions. I'm a first time Customer Success Manager and have found ChurnZero very easy to use. This is especially impressive since I started my CSM role while ChurnZero was still in the implementation phase at our company. The support team has been really great too. Sometimes it can be a bit difficult to get all the data you want into the same report. I'd attribute 80% of this issue to my newness with the system. As I understand it a new reporting module will be launched soon so I anticipate this will be a non-issue soon. We are using a one to many customer success model and the ability to segment our customers and engage them using automated emails is amazing. Playbook creation is very simple so if a play isn't working you can quickly update it or create a new one. Monitoring customer usage of our software from within CZ and tracking the users customer journey, milestones and achievements are great features. The ability to customize customer experiences all in one place! Also working with the CZ team has been really great! Limited ability to separate out clients from two platforms easily, also some data reporting limited but we are working through it. Wish we could have more custom dashboards/filters and categories for tables. If you are a small company, you will really enjoy working with the CZ team. They treat you as a full customer, unlike big brands, and really take the time to understand your needs. reaching our whole client base with meaningful data and insights, and understanding them better internally. So far, still getting set up - but loving segmentation and plays. I love the ability to track all of my customers in one spot. The granularity on exactly what your customers are doing, how likely they are to be happy/unhappy, when you need to chat with them, etc... is awesome! The only con to Churn Zero is sometimes I have trouble loading certain pages. (Happens with all tech companies though). ChurnZero is really helping me stay on top of accounts I need to contact. Especially around renewal time- I know exactly when I need to really target a specific account to make sure they're seeing success and getting everything they need from me in order to be a successful customer. Being able to segment my client based on account attributes. Such a logins and internal usage. More detail about individual accounts specifically being able to view how many release they have remaining. Account Details beyond what is available through SF link. Specifically for my business, I need to see how many Releases the account has remaining which would require more integration into our core product. Usage or lack there of of our platform. Being able to segment customer base to preform outreach tasks. Better understanding of how clients use our platform and how usage is a direct correlation to renewal rate. "Great Product for Identifying Churn Risk and Being Proactive About Outreach"
This tool makes it easy to identify risk factors that can lead to churn. It also allows us to proactively reach out to customers to stay on top of risk factors and prevent churn better than we could before. We've also been able to automate some of the outreach, which has lead to better customer engagement. The editor for creating emails can be a bit clunky at times. It's difficult to copy content and paste into ChurnZero, which can add to the time it takes to create certain play steps. We are utilizing ChurnZero to reduce churn and identify risk factors in our customer base. We've noticed better engagement with our customers using ChurnZero to automate some of the communication that we have. ChurnZero leverages platform usage data to provide a bird's-eye view of client engagement and overall account health. Salesforce data is also integrated for a more complete picture. It's valuable to be able to click through and immediately assess account health. ChurnZero client support is also excellent - responsive and helpful. Salesforce remains our primary client engagement ecosystem and account touches happen often. It would be helpful if ChurnZero could sync with Salesforce records in real-time rather than every 15 minutes. The task of any Saas company is to understand why customers churn and take all possible steps to maximize renewals. ChurnZero helps provide a fuller picture of account health, alerts account managers to potential problems, and provides tools like the CZ success panel and in-app announcements to better engage with clients. It takes the guessing out of keeping track of clients. I'm able to see what my clients need help with and follow up with them via playbook and tasks. There was a large learning curve. I feel like the majority of the platform was very easy to learn, but some of the terms were not as self explanatory as I was hoping. We like to keep track of our clients - see when they are logging into our software. "Awesome Product - Always Getting Better, Too!" We're using ChurnZero to solve the challenges involved with measuring, monitoring & analyzing customer activity & actions within our application, combining it with CRM & customer/deal specific data, and then deriving meaningful information to actually act on. Building off of this, ChurnZero provides a great medium to grab a pulse of your customers on every level possible - as an aggregate, segmented by defined groups, as an individual customer, and even down to individual users. While we could certainly pull all this information ourselves, it would be inactionable, certainly more time intensive, and likely something much harder for the customer success team to digest compared to the incredible UI/UX provided by ChurnZero. By & large the best benefits have been around the time saving achieved by putting all the information about a customer at the finger tips of the customer success team & allowing them to act from there. Login everyday and make it a habit. Setup the alerts so it can let you know when a red flag goes up on an account so you can address any potential issues right away versus finding out the hard way (they don't renew). We're helping provide more customers with greater value by looking at their ChurnZero account before having conversations to see usage data and figure out who isn't getting the full use out of the platform and may need additional help. "Triple Threat: Fantastic solution, support, and leadership"
I reviewed three software solutions before selecting ChurnZero for our tech company. I was thoroughly impressed with the usability, integration capabilities, and how evolved the solution was for being an earlier player within the industry (back in Q12016). ChurnZero's software seemed more advanced than their counterparts who had been in the industry for 10+ years and was at an attractive price point that I could help justify to key stakeholders. My implementation and support experience was top notch. I worked with the VP of the product, and she took the time to understand our business needs, provided best-in-class recommendations through the process based on our goals, shared strategic guidance with our entire executive team across multiple business functions, and provided unparalleled service through a myriad of questions and modifications. ChurnZero's CEO and VP of Product helped us strategize through adoption, engagement, and structuring the algorithms. Their partnership helped nurture a wonderful relationship and prepare us to meet our organizational objectives. There were opportunities to make the filters a bit more intuitive, but overall it was very user-friendly! We used ChurnZero to predict, reduce, and manage turn for our SaaS clients, help us increase contract value by evaluating which clients are likely to upsell and cross-sell, and improve client satisfaction by tracking overall client engagement across a myriad of factors that were synced over from Salesforce and our API's. "The more we use ChurnZero, the more I wonder how we did our jobs without it"
ChurnZero saves me time and allows my team to make decisions based on data. We're able to get in front of risk, prioritize activities, and disseminate information to our customers more effectively. Increasingly, Churn Zero is the tool we use for new projects, and the solution we find for new challenges. There isn't anything I greatly dislike. We have grown our use of the platform and uncovered more use cases and needs. The team at ChurnZero has done a great job growing with us and helping us re-work our integrations and set up to meet our needs. As with any software, you have to use it to see the benefits. Come up with a strategic plan and empower individuals to explore and take ownership. We have been able to use insights from Churn Zero to proactively address risk, send targeted messaging to clients, increase engagement and customer feedback in our annual survey, and empower our managers and team to better serve their clients. "Great Tool for the Modern Customer Success Role"
As a Customer Success Manager, CZ is truly my organizational hub. Not only am I able to document detailed account notes, sync emails, and include attachments, but our custom integrations really help me stay on top of all accounts in a proactive way that is also tailored to our business processes. The CZ team takes our product feedback to heart, and consistently works with our team to ensure they're making improvements that truly benefit their customers. Would be great if the "Details" section displayed account info from Salesforce in a more "clean" layout (the ability to select which account details to display would also be super helpful!) Churn Score is a great feature, but takes quite a bit of tweaking to get an accurate health check read. Would also love the ability to set up external alerts for tasks. CZ is an invaluable tool for our growing Customer Success team. Not only does it help us stay organized and keep a detailed, up-to-date overview of our customer's progress and health, but our customer integrations also allow us to proactively address customer activity and needs. "It turns insight into action- super helpful"
Interface is designed to be informative. I'm learning best practices as I go, since this is such a new software to me in general- even if it's been a year on the suite. I don't like that having access to so much data could mean I have 100 more things to do, but that's what the plays are for! Give it a shot. Might need customizing heavily, but well worth it after identifying the goals you want to achieve. Reduced invisibility and major legwork of how to prioritize accounts based on usage data and scores. Seeing who's currently logged into the account is very helpful. It allows me to reach out and engage quickly and also allows me to gain new contacts from quiet accounts. I'm able to see who's actively using the account and who's not. I'm able to reduce churn by reaching out to those who are quiet when I see they are in the account. It also allows me to communicate with many accounts at one time which saves a lot of time. "Great for Insight into Accounts"
I like that I can see what my clients are doing within their platform. It gives me a better understanding of their true needs versus what they tell me their needs are. I like being able to see their ranking compared to other clients so that I can prioritize my outreach. Sometimes my accounts aren't in ChurnZero but that is an issue with the Salesforce integration and the staff at ChurnZero are extremely helpful in correcting it. Understanding my business and clients more so that I can renew them at a higher rate. Knowing their usage and who is logging in to accomplish tasks is a huge benefit - it gives me additional contacts to reach out to when my main point of contact isn't responding. "Great tool for any Customer Success PRO!" The UI really let's me down. It's clunky and doesn't work as well I'd hoped. Many times I've found myself utilizing SFDC, because I prefer that UI to CZ's. ChurnZero has an awesome staff that is heading in the right direction. Functionality should be your number one concern when choosing a tool, so I highly recommend this one. My only issue is that sometimes the UI can turn me off. Keep track of my activity my accounts. It provides insights into which accounts are falling behind others in terms of engagement. "Excellent way to get training in front of customers"
I like the flexibility it has and the ability to see usage and tie it to customer data in Salesforce. The ability to run plays and set goals for user behavior helps to ensure we are focusing our efforts in the best possible way and not wasting any effort. So far I haven't had any issues, get familiar with the system was easy and they do assist you along the way. I am attempting to get training out to new users for our software. That was the easy part, but i have realized that you can do so much more. The ability to track the events a user is doing and the ability to provide the just in time content for them is very beneficial, especially when you need to make some power users. We have also been able to tie usage to certain initiatives we are doing since you can tie this to Salesforce objects. Our CSM is extremely engaged and knowledgeable. The tool is rich in capability, and very customizable. In conjunction with some customization in our Salesforce implementation, we are able to segment customers in any way imaginable. CZ relies heavily on the Account standard object in Salesforce, which has proven to be somewhat of a limitation for us. ChurnZero allows our CSMs to proactively monitor and remedy our most acute client pain points. It has already helped us to speed up the response cycle. ChurnZero makes managing a large number of clients manageable for our team. It has allowed us to monitor client behavior, report on engagement, and get ahead of risk. There is a bit of a learning curve as the UI can be somewhat overwhelming for new users. Our primary objective is retaining revenue. We use ChurnZero to monitor client engagement and product feature utilization. The product is flexible enough for our diverse customer base. Some need high touch and others we want to automate. We have that choice and flexibility with ChurnZero. Their implementation team is very good and has put in the time to make sure we are seeing results. We didn't get it implemented earlier. : ) And in app mobile messaging would be great. Understanding our customer behavior in our software to be able to provide better proactive support both automated and not. "In-depth insight to help with customer success "
ChurnZero provides us with insight to customers that we normally wouldn't have. We also are able to share this information, such as more detailed usage, with customers, which they find helpful, but we do too. Also, easy to understand and Abby is so fun, knowledgeable and great to work with! Not much, I wish there was a "chat with us" available when I needed something right away. Churn Zero allows me to gain insight into usage of our product. It gives me valuable insight into what users are doing, and how much engagement is happening at a user level. I really don't have any negatives for this service. One might be that the alerts are only able to be sent via email to one person. Utilize the support given to you from Churn Team members! They are very helpful and will work with you to accomplish what is needed. We are solving low engagement, and are now able to catch it and reengage users who are not utilizing our service. I've especially realized benefits with the plays you can run through churn. It can automatically target disengaged users via email without me having to do anything. "Great product for forward looking companies"
Implementing ChurnZero helped us rethink what was truly important interactions with customers, which was worth the price alone. Our Salesforce configuration is extremely customized and consistently changing, which has caused some issues. "Easy to use of Client Success"
We enjoy using Chrunzero because it allows our team to coordinate with each other on how to reach our clients. It keeps us organized and on top of client health. Additionally, being able to see how thoroughly and efficiently our clients are using the application allows us to see key places of improvement and modification. So far it's difficult to keep track of all accounts and information seems delayed on where it's coming from. Additionally not all changes transfer between platforms. We are solving Churn and reducing the amount of unhappy or unhealthy clients. We are quickly able to see the health of our clients and work proactively towards benefitting our clients. "Just started using ChurnZero and love it! " Don't have anything yet! I just started using this recently so still learning but so far I have no complaints. "Powerful tool with excellent customer support"
The ChurnZero team is very attentive. I'm working to migrate my company's CRM, and I've worked with the ChurnZero team to ensure our CRM integration is updated and continues to work well. I only have good things to say about the support I've received. I wish we could customize more about the tool ourselves without requiring help from support reps.
Automating our reporting and integrating our different workflow tools. This tool has streamlined many tasks for our team. "Customisable, adaptable and real nice updates along with excellent customer service! " The new updates of Churn Scores and the service from dedicated Customer Success Manager. I like that it is easy to follow activities, create your own and the ability to adapt segments. Once you get the hang of it there is unlimited activities one can create. Tracking stages and health of our clients, creating activities both internally and externally, basing analysis. "Great Use of Time And Effort"
The Journeys portion of this platform is what I enjoy best and helps us keep track of specific and important milestones and dates. There are many other items to mention here as well, but overall great product. Honestly, not much to dislike. It's a great looking product that's beneficial to keeping churn low and track all of your milestones. Keeping churn low, keeping track of implementation dates, keeping track of clients that need tending to. ChurnZero is a great platform that is highly competitive with the other solutions that we looked at, however, the best part about ChurnZero is the Customer Success Manager that we have been working with. Aside from being a great organizational tool for CSMs, it also allows us to provide timely support to our customers to increase product usage and therefore reduce churn. "Very Efficient with Tracking Customer Experience"
ChurnZero is great with monitoring where a customer is with their experience, they have great metrics to help gauge where they are most active within a product suite and how often they have been engaged, etc. The user interface is good but could use a refresher with the side bar, possibly consolidate some of the options but this is minor, overall the UI is easy to navigate. Engagement, both from a customer-to-product usage and company/account manager-to-client. This is helping tremendously with how to drive engagement on both ends and has great tools, such as Journeys, where you can monitor along the customer onboarding. "Customer Success Must Have "
The visibility into our accounts, the ease in which to use the platform, the affordability and how it seamlessly connects to Salesforce. I also LOVE working with our CSM, Abby! So far I there isn't much I don't like... The ChurnScore can be pretty subjective to each client and their own strategy & use of our platform so sometimes it doesn't properly represent our customers health. This is more to do with how WE measure health and less about ChurnZero. I also wish I were able to clearly see who on my team was using CZ and how often. We purchased the platform for our CSM's and AM's to track renewals, health, reporting and to identify at- risk customers. great customer service! my main contract is always happy to help! Great way to keep track of client usage/adoption. "A helpful tool for client insights"
The ease of use is second to none. As someone who is constantly doing 10 things at once its super important to have a platform that is easy and quick to use. I dont dislike anything about the platform. I believe the functionality is perfect for what I use it for. I am able to quickly see if my clients are utilizing our platform. It is nice to know when clients are being honest/truthful with me, as well as understanding what they are utilizing our platform for. "Churnzero is like my Best Friend"
Tool provides the great insight! This tool is like having a cheat sheet on how our clients engage with our software. Most clients have a million tasks they have to deal with, instead of trying to gauge client use through asking, this provides tangible and reportable data on client usage. Still waiting on in app messaging. I know this already on the roadmap, and available for a lot of other users, I am really just anxious to go live company wide over here. Provides visibility on client use of our software. Helps identify possible gaps in use, where I can step in as the account manager to not only help our clients fully utilize our tools, but also show the value for clients to add on features that may not be currently in their system in order to make their day to day jobs easier. "Great platform for growing SaaS business"
We are fairly new to using ChurnZero and chose them after demos of three different CS platforms. We really liked the usability and simplicity of ChurnZero and it fell right in the middle in terms of price. The dashboard and usage stats are awesome and linking to Salesforce and our own SaaS offerings was a big plus. I love being able to track certain events to understand which features/reports our customers are using on our platform. Having segmentation in reports also allows us to make decisions based on our customer segments. They have been great to work with during implementation. As with most SaaS platforms, I wish there were more customization or tailoring options (e.g., removing tags from alerts panel). It's honestly not a big deal and they do seem to constantly take customer feedback and improve their systems so looking forward to seeing whether additional tailoring options are coming. We had a very seamless integration and start-up with ChurnZero but it still took us ~3 months from start to go live. Keep in mind you will need your own internal folks to be able to have the time to work with the ChurnZero team. We were not fully aware of how much time it would take internally so we didn't have alot of available resources at the time which is why it took 3 months. 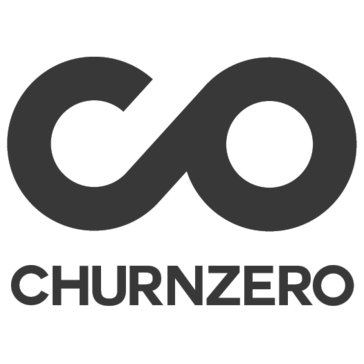 We use ChurnZero to monitor usage statistics, track renewals, understand customer activities/behaviors, communicate with customers using in-app and email platforms, etc. "Helpful to manage clients and preventing churn"
It is complicated software. I'm still learning. It's helping me to manage my clients and see submissions. "ChurnZero makes identifying customer product pain and usability insights a cinch"
The learning curve to implementing well working 'plays'. Understanding new customer usage as well as effectiveness of my onboarding sessions. I'm able to followup, in realtime, how users are adopting the software, and if they're having trouble, or my account is in the red, I can be notified immediately and automate my response. * We monitor all ChurnZero reviews to prevent fraudulent reviews and keep review quality high. We do not post reviews by company employees or direct competitors. Validated reviews require the user to submit a screenshot of the product containing their user ID, in order to verify a user is an actual user of the product.